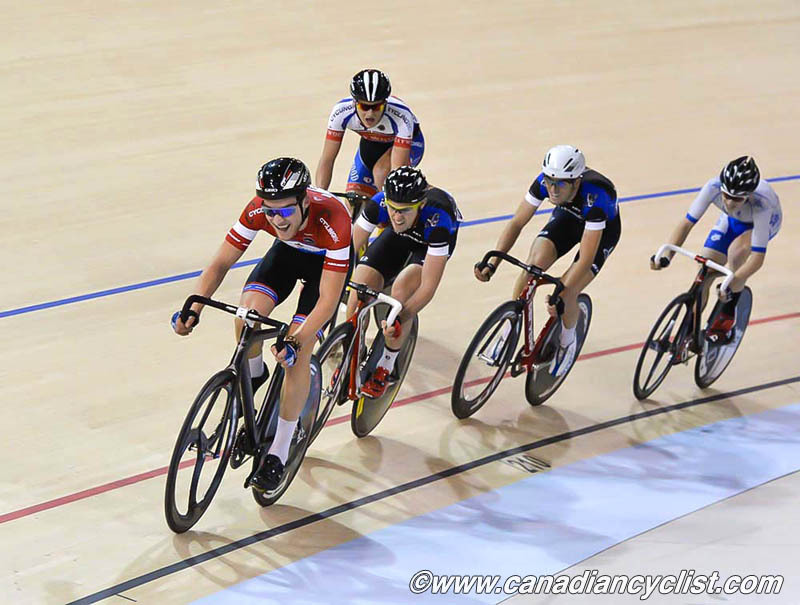 Some of the most exciting racing of the Canadian Track National Championships took place on Monday evening at the Mattamy National Cycling Centre velodrome in Milton, Ontario. 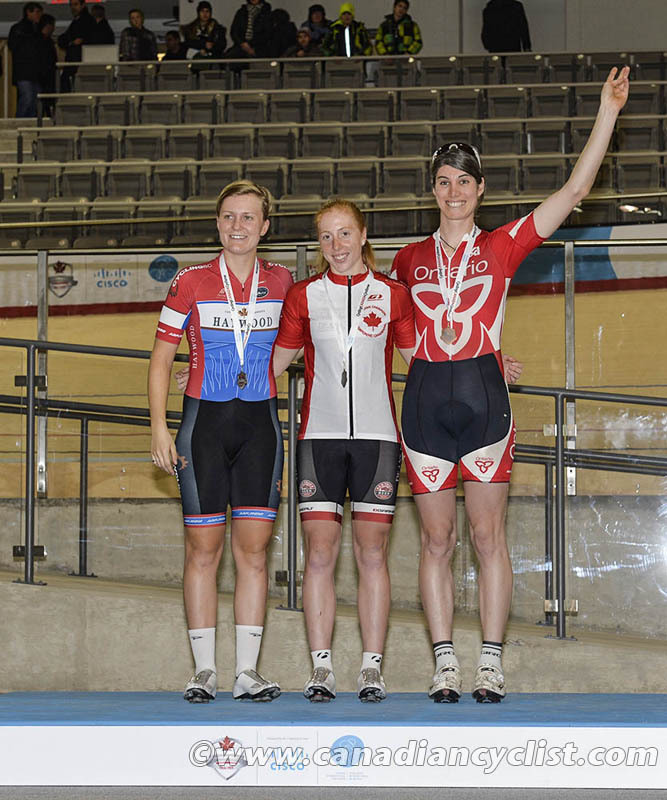 The final event of the Omnium, the Points Race, led to awarding of national titles to Allison Beveridge (Trek Red Truck) and Remi Pelletier Roy (Equipe de Quebec), after six races over two days. 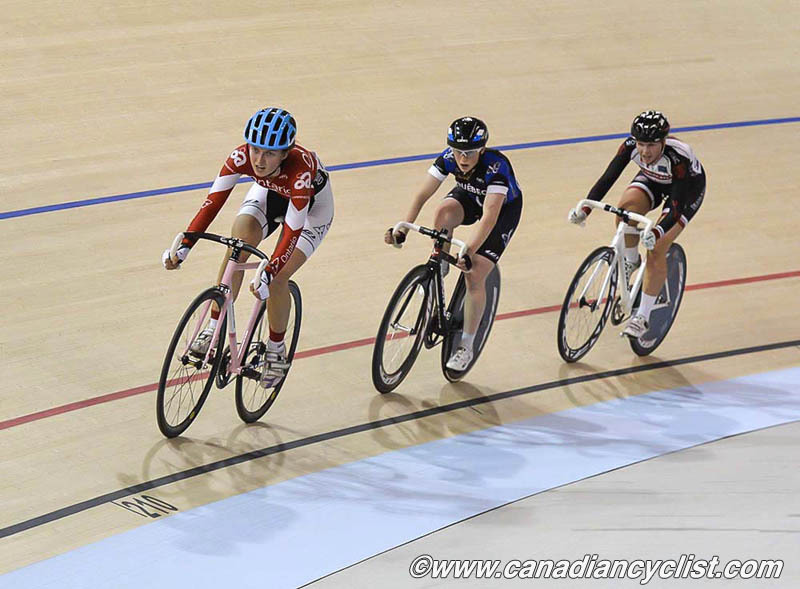 Beveridge had a 14 point lead over Steph Roorda (Team BC) and Jamie Gilgen (Team Ontario) as the women went into the final event in the evening session. 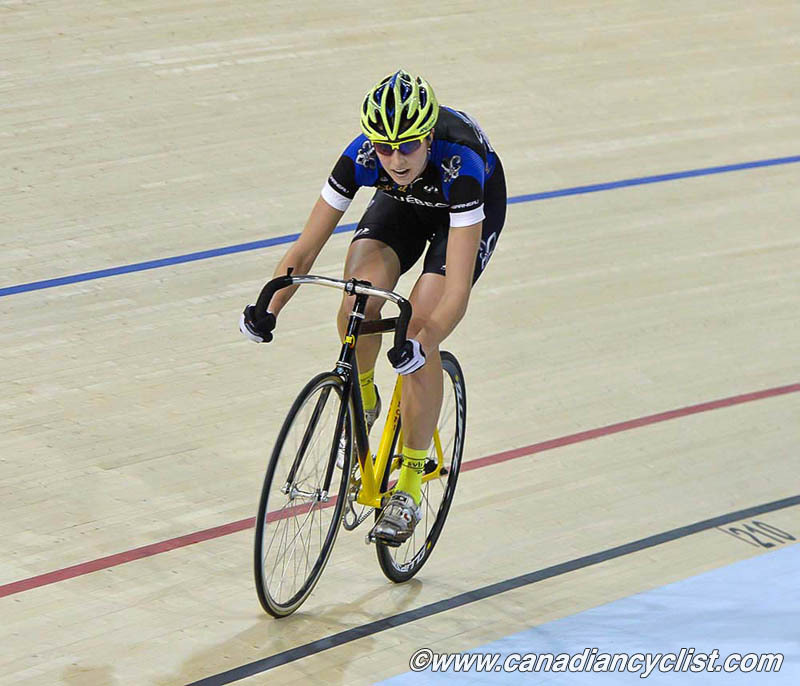 Missing from the standings was Jasmin Glaesser (Team BC), who had been in second after Day 1. Glaesser did not start today due to illness. 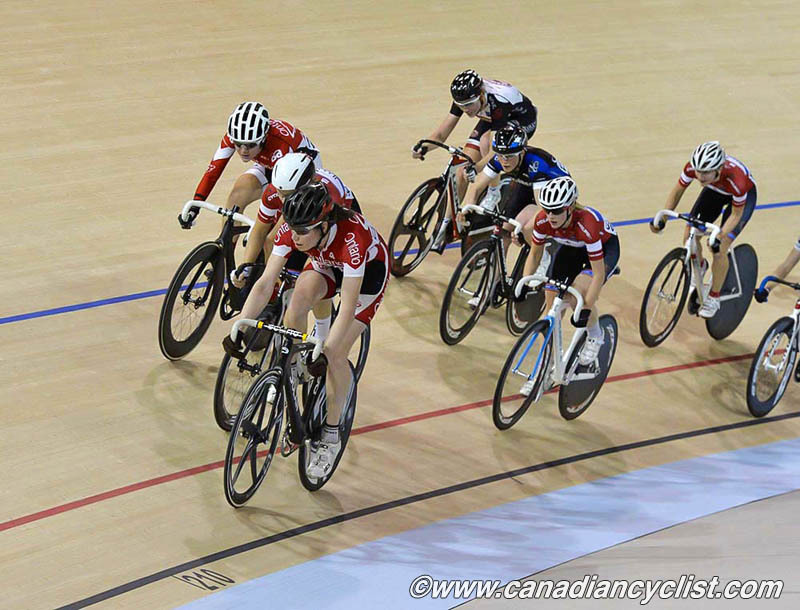 Beveridge left nothing to chance, taking maximum points in the first three sprints to cement her lead in the standings over Roorda. Roorda came back late in the race to win two sprints, but it wasn't enough, as Beveridge won with a total of 224 points to Roorda's 209. Gilgen held onto third with 182 points. "It felt really good out there," admitted Beveridge. "It's always nice to go out there and do some head-to-head sprints and see how you do. I definitely felt good enough to make it a race. Anything can happen in a 100 lap race, so you have to be careful, and not let anyone get a lap on you." 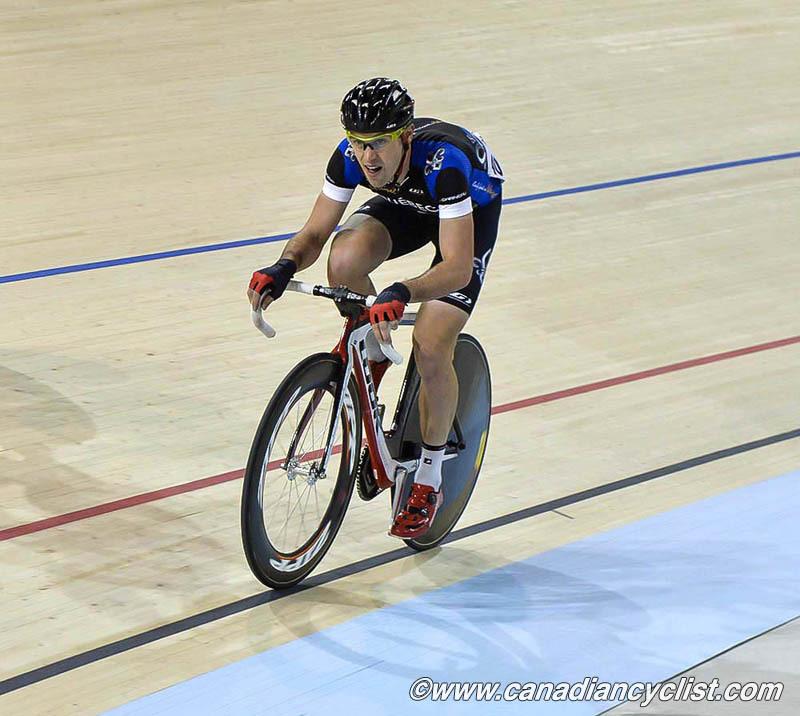 In the men's standings, Ed Veal (Real Deal Racing) entered the final event with a slim six point lead over Pelletier Roy in the overall standings after the fifth race. 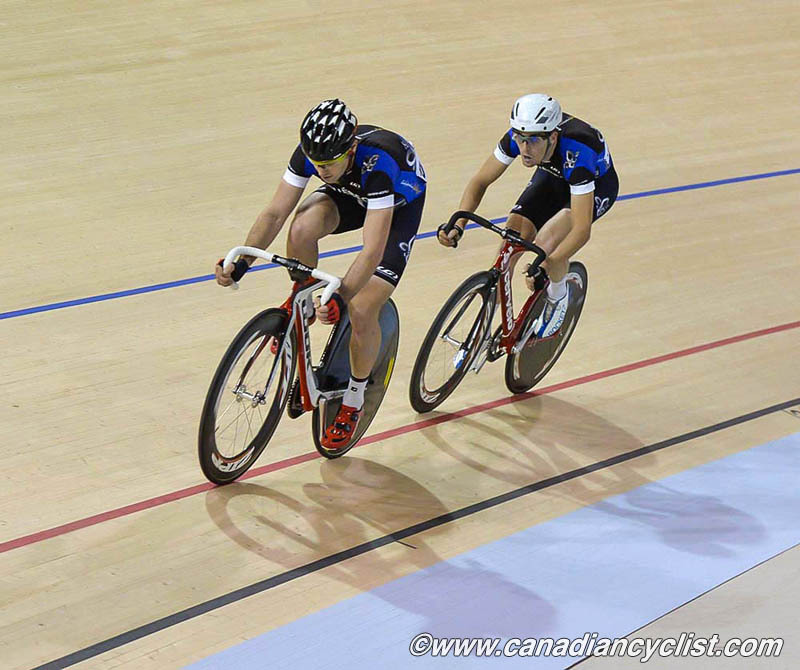 Aidan Caves (Team BC) was third, 24 points back, with Zayne Hayes (Team BC) and Sean MacKinnon (Racer Sportif/Mattamy) a further four points in arrears. 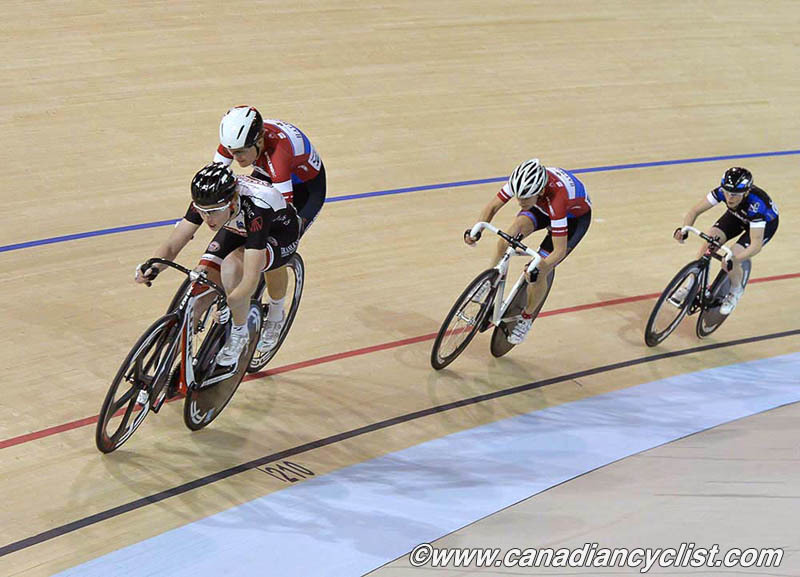 The incredibly aggressive final Points Race saw multiple lead changes as riders took laps and contested sprints. Jean Michel Lachance (Equipe de Quebec), MacKinnon and Hayes all held the lead at various points in the race before Pelletier Roy finally put his stamp on the top spot. 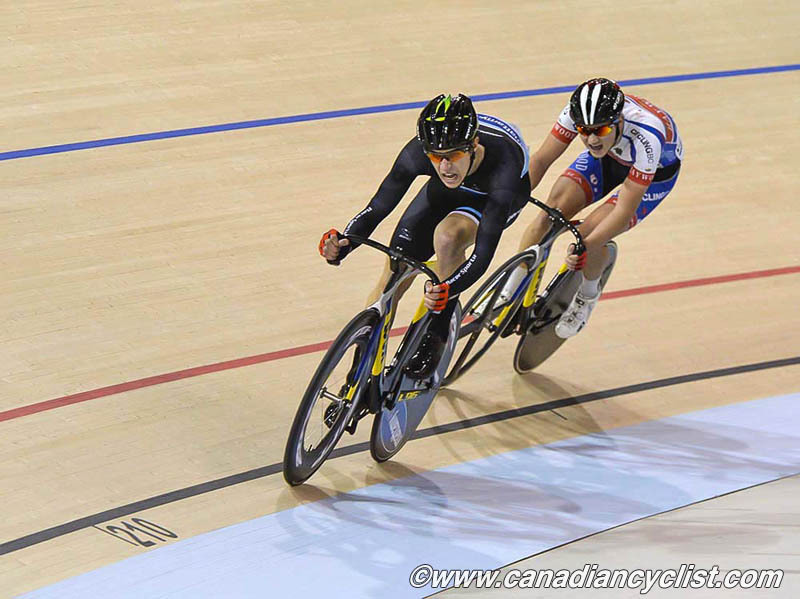 "Since it's part of the Omnium there's a lot of tactics going around," explained Pelletier Roy. "I thought if I win the [Points] race I win the overall, so I went with the idea to just race my best. I knew lots of people were looking at me, so it was one of the hardest races I've done. This is the jersey I really wanted. This is the jersey I needed. 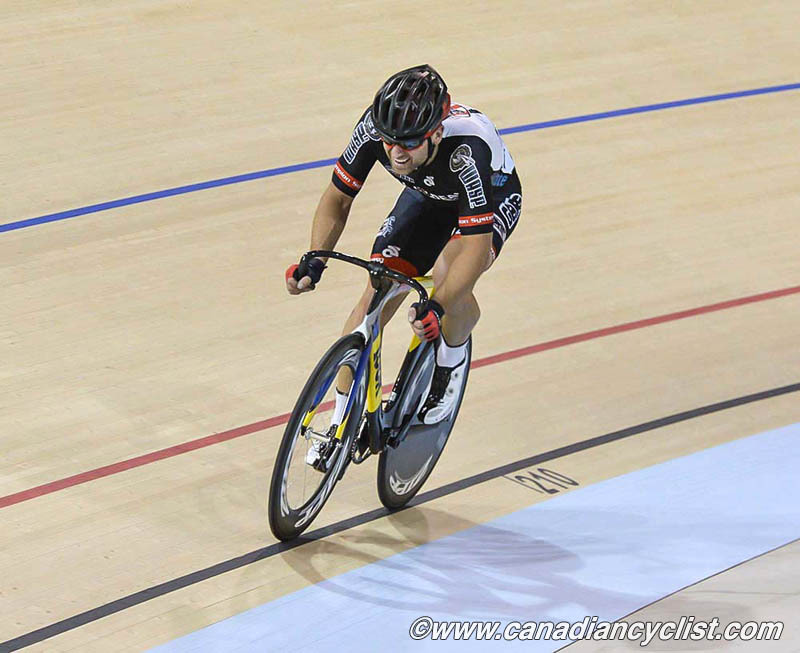 I showed Canada that I was their guy for the Pan Ams and maybe the Olympics." 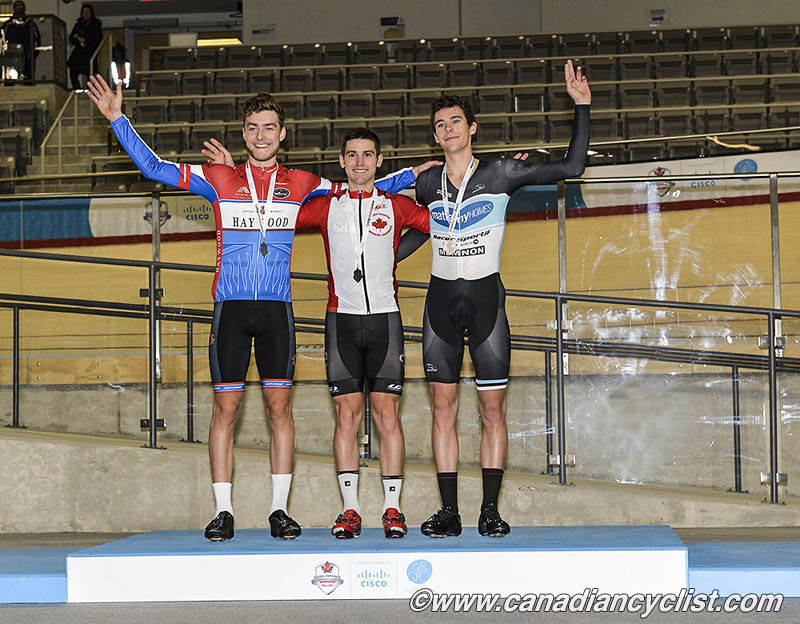 Separate national titles were also awarded for the 1000 metre time trial (men) and 500 metre time trial (women), with Joakim Albert (Equipe de Quebec) winning the men's title and Monique Sullivan (Team PCL) taking her third title of these Nationals for the women.